District Beaver Campfire 2018 A few photos from the campfire for beavers and their families. 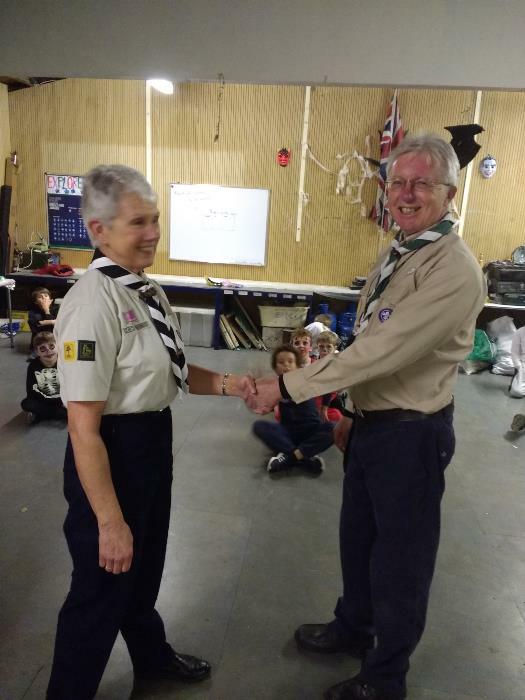 Wood Badges for 1st Sandhurst Baggy (Dave Stevenson) CSL 1st Sandhurst received his Wood Badge from Pam Pearce on 13th November. Polly Harris BSL also received hers.